shefgab, corporate-wage-slave and kosy91 like this. Yesterday I was among the many passengers affected by the delays at London City Airport caused by fog earlier in the morning. I managed to change to an earlier than booked flight as my original flight was to be delayed by over 2 hours while the earlier one had a delay of only 1 hour. 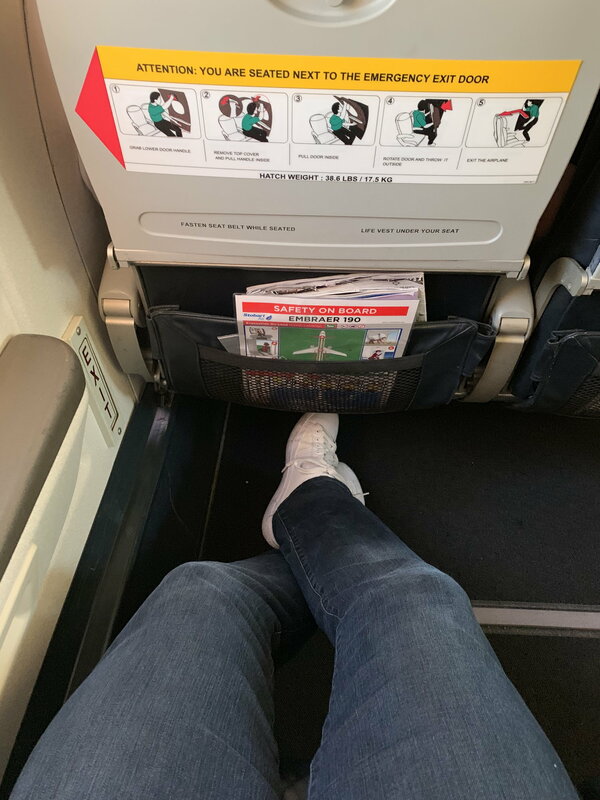 The flight I took was operated by a Stobart Air E190 which had only 6 seats in club in a 1-2 fixed configuration seating. 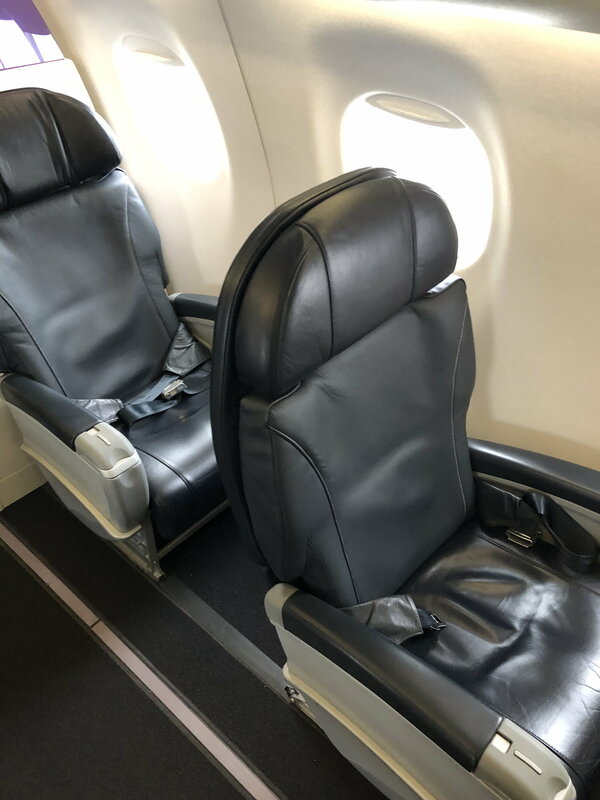 the seat itself was not dis-similar to that found on American carriers domestic First services and was very comfortable and spacious for such a short London - Glasgow hop. If you get the chance then it's worth being a bit flexible with your timings if you can in order to try out this aircraft if booking a BA Cityflyer flight to/from LCY. I believe that currently 2 aircraft are wet leased by Cityflyer to help with capacity on LCY flights. They haven't done much to the interiors, have they? In fact, have they done anything? I presume there will be a longer-term plan to reconfigure the aircraft in a more standardised layout with CY seating at some point in the future? 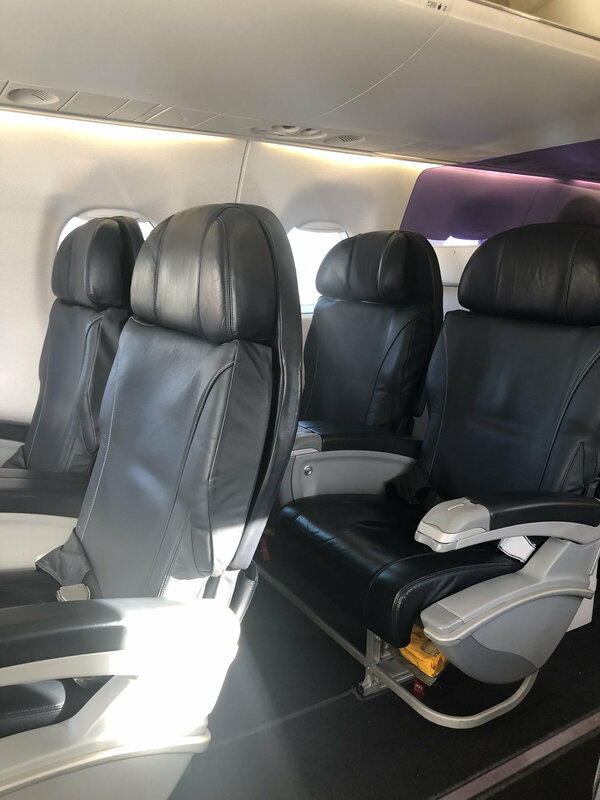 I presume there will be a longer-term plan to reconfigure the aircraft in a more standardised layout with CY seating at some point in the future? That might depend on how long CJ wants to use the aircraft for? There are consistent murmurs about CJ getting more of its own aircraft, so if RE is also treating this as a relatively short-term lease then it might not want to tie its configuration too closely to CJ's.